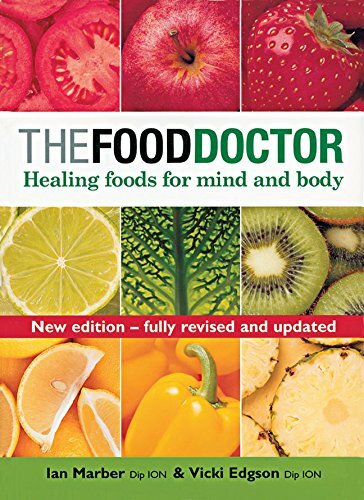 This is the newly revised and updated edition of the best-selling and ever-popular 'The Food Doctor', which has sold over half-a-million copies worldwide. With the latest research, new and inspiring recipes and a new chapter on vegetarian and vegan eating, this invaluable guide will provide all the information you need to improve your health and wellbeing. Packed with nutritious advice, it introduces simple foods with amazing healing properties, gives the definitive list of the top 100 foods for health, vitality and happiness, and shows exactly what to eat to improve your energy, mood and stress levels. There are numerous small changes that you can make to your diet which make a real difference to how you feel. Along with hundreds of nutrition facts you'll discover which foods aid concentration, what can boost your energy or make you sleep better, and how to alter your diet to help with common ailments such as eczema, migraine, hayfever and arthritis. Including, with its expert but practical advice, case studies and 'food cures', health tips and delicious recipes, 'The Food Doctor' will help you to improve your mood and appearance, reduce your stress levels and boost your energy. Vicki Edgson is a clinical nutrition consultant and runs a private practice in London. She is the author of 'The Food Doctor for Babies & Children', and co-author with Ian Marber of 'In Bed with the Food Doctor'. She regularly appears on television and writes for a number of magazines, as well as running corporate lectures on lifestyle and diet. Vicki lives in London, W8. Ian Marber is also a clinical nutrition consultant. He is the author of 'The Food Doctor in the City' and co-author of 'In Bed with the Food Doctor'. He regularly writes for a wide range of national newspapers and magazines including Marie Claire, the Mirror and the Sunday Times. Ian lives in London.